We are so very thankful to have Dr. Brar and his staff at Klahanie Veterinary Clinic to take care of our two dogs, Bella and Ace. A couple weeks ago Ace got very sick, to the point that we thought we were going to loose him. Dr. Brar recommended all of the right steps and Ace's recovery process was perfect. Going through Such a serious event made us realize how thankful we are for Dr. Brar and his staff. Just a quick note to thank you for your wonderful care and follow-up for Chunk. I will be in on Saturday. I received a call from your office asking how Chunk was doing and if I had any questions. That is the service and concern my vet in San Diego gave me and it is appreciated so much! I also want to thank you for asking me ahead of time if I need a written estimate. Your appreciation for my budget is also appreciated. The little extra service you provide goes a long way. I have already recommended your office to three others. Thank you for taking the time to find out what was wrong with me. You and your staff were very kind and patient with me and my mom and dad. You even called to check on me... I am all better now! I just wanted to let you know how much we loved our first experience with Dr. Brar, what a wonderful man and clearly knowledgeable vet he is! Our Golden is literally our first child and seeing Dr. Brar care for him with a level of love and concern that we ourselves would impart was touching. Beyond that I feel like Duke's health will be in the best hands with him as it has been with Dr. Hougham for 5 years now. Thanks for making your already wonderful practice even better. We are so grateful to have Dr. Brar at Klahanie Veterinary Clinic to take care of our little dog, Tucker. He showed the most special compassion, understanding and care for our little dog, Tucker, and for us when Tucker suddenly became very sick. Our Tucker, a little 2-year old Corgi, was lethargic and struggling to potty. He had no energy and was so sad and uncomfortable that we knew something was drastically wrong. We took Tucker to see Dr Brar early the next morning and we were very anxious and nervous about our little Tucker's health. As we sat there with Tucker, Dr. Brar gently and compassionately talked and petted "Mr. Tucker", as he called him, obviously recognizing that we were scared for Tucker and loved him so much. Dr. Brar ran some quick tests and immediately diagnosed Tucker with pancreatitis, which made us even more scared and sad. Dr. Brar was warm and compassionate as he told us about the treatment which typically meant that Mr. Tucker would have to stay at his office in the dog hospital for 3 days by himself with IVs and doggie downer drugs. Dr. Brar was extremely thoughtful and concerned for us. As he saw our tears and anxiety and as we told him about unexpectedly losing Pooh, our 6 year old Corgi, a couple of years ago to a brain tumor, he did an amazing thing that we will never, ever forget…he created "Mr. Tucker's room", and for 3 days, we had our own special room at Klahanie Veterinary Clinic. For 3 days, we took Tucker to Dr. Brar's office, loaded with Tucker's bed, two beach chairs, books and iPods and we got to sit with Tucker in Mr. Tucker's room each day while he took the doggie drugs and the IV. Every 1/2 hour, Dr. Brar came in to Mr. Tucker's room talk to Tucker and check on him, calmly and gently petting him and reassuring us that Tucker would be ok.
We were so amazed that Dr. Brar let us stay with Tucker. We've never had such a compassionate, caring vet for our dogs and we don't believe that any other doctor would have recognized and acknowledged our fears and gone so far and above all others to help us get Tucker back to health. We are forever grateful for Dr. Brar and his team and Tucker is a strong and healthy little buddy, thanks to his loving care! Dr. Brar is a knowledgeable, professional, and most of all compassionate person. He treated Miss Muppet as if she were part of his family. Klahanie Center Veterinary Hospital has served our pets since 2001 when my husband and I moved to the Klahanie neighborhood. I have been impressed with the doctors and staff. 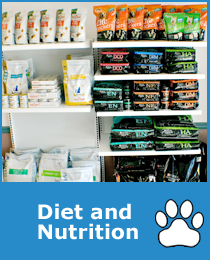 They continually show interest in our pets health, are very accommodating in working with me on scheduling appointments to suit my needs, and take excellent care of my cats. 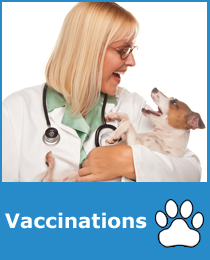 Many times, the staff will call my house to check on the health of my pets. I have had numerous conversations with Dr. Hougham over the years as he's managed the health of our two cats with Kidney Disease. He is patient and takes the time to explain the current health issue and offers recommendations to improve the issue that continue to be successful. Recently, my remaining cat was extremely ill. Dr. Hougham was on vacation, but Dr. Brar was available and has taken excellent care of my 19 year old cat. Dr. Brar is a fine addition to the staff at Klahanie. I visit the Klahanie office every three days now as my cat continues to have fluid IV therapy there for her kidney disease. Dr. Brar or Dr. Hougham talk to me at almost every visit to make sure my cat is doing well. I have not lived in Klahanie for the past 8 years. In fact, it now takes me 30 minutes to drive to this veterinary hospital. However, as long as my cat is living, I will continue to patronize this office due to the excellent care we receive. 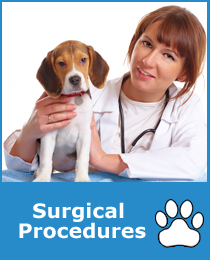 I encountered Dr. Brar after my dog had undergone surgery elsewhere. It turned into an emergency situation, and this man I had never met cared for my dog as a primary patient. He saved my dog's life. He know every aspect of Bella's condition and how to care for her. He has gone beyond the call of duty for her. He's an incredible man and doctor. My six month old kitten was not feeling well, no appetite and a fever of 105. It was 9:30 in the evening. Dr. Brar offered to come back to the clinic, we were there for over an hour. He was able to get her temp down, by the time we returned home she had regained her appetite and was almost back to her normal self. He has a great bedside manner and a wonderful sense of humor. Because of his straight forward approach I was able to make educated decisions on how to treat my kitten. I would highly recommend him to any animal lover. I would like to thank you and your staff for taking such good care of our cat Marley. He had to go through so much for such a young cat. You offered many different options us, explaining each one so I clearly understood my choices. I feel you and your staff went over and above what was necessary to make the procedures much more bearable not only for Marley, but for my family and I as well. As you know, we love Mr. Marley very much and can't thank you enough for making it possible for him to live a long and healthy life. He is up to his old tricks and running the house again. 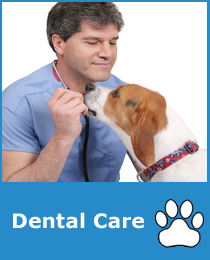 I will be sure to recommend Klahanie Center Veterinary Hospital to anyone who needs care for his or her pets. Doctor Hougham and Doctor Brar, along with their staff, have been looking after the health and welfare of my little animal family since I moved to Klahanie 6 years ago. Having their services so close to my home along with their extended hours has been a comfort and convenience. Doctor Hougham, with tenderness, saw me through the illness and loss of Fonzie, my senior citizen cat. Dr Brar, Dr. Hougham, and the staff have watched over the health and care of Sitara, my small Rat Terrier. Now they have taken on the welfare of Kiya, Sitara's new Rat Terrier baby sister. Sitara has greeted her with less than enthusiasm, but the doctors and staff at Klahanie have watched over my raising of Kiya with helpful health pointers. The office has been available by phone during business hours to answers my concerns and I would recommend them to friends and neighbors in the area.